Despite Parliament winding down for the summer, it has been a busy month of broadband policy, with big announcements from both DCMS and Ofcom. Both the DCMS Future Telecoms Infrastructure Review (FTIR) and Ofcom’s subsequent strategy focus on the steps needed to achieve the ‘full fibre future’ set out in the Government’s targets. The subgroup will discuss expected consultations in the autumn continuing the work ISPA has been doing regarding barriers with the DCMS Barrier Busting Task Force. Until then, the focus will be on the USO with the subgroup discussing the ISPA response at the most recent meeting, to be submitted to Ofcom in late August. The liability landscape is shifting at the moment, with regulatory change afoot both in the UK and EU. We are continuing to work closely with DCMS, and other relevant bodies, with particular focus on the Internet Safety Strategy and the age verification provisions set out in the Digital Economy Act. Following consultation with our members, we also gave evidence to the Lord’s Communications Committee Inquiry into the regulation of the Internet. In terms of EU developments, such as the current debates on e-Evidence and fake news, we have been working with our colleagues in Brussels through EuroISPA, ensuring that our member’s voices are heard. The next liability subgroup meeting will take place in the Autumn, which will provide an opportunity for members share their views and concerns regarding current policy proposals. Members are also kept informed of updates and insights via our liability mailing list; if you are a member and you wish to join the mailing list, please do get in touch via admin@ispa.org.uk. Our second Parliamentary Dinner is taking place on the 16th October in House of Commons on the key topic of cyber security. The dinner is kindly hosted by Matt Warman MP, former Parliamentary Private Secretary in the Department for Digital, Culture, Media and Sport. This is a members only event and a very limited spaces are available, if you would like to attend please book your ticket now. ISPA is running a survey for members on cyber security and we would be grateful if ISPA members could take 10 minutes or so to fill out the survey. The aim of the survey is to get an industry wide perspective on cyber security to demonstrate the role ISPs play in ensuring cyber security, the nature of threats and how Government and law enforcement can help industry. ISPA's annual general meeting took place on 12th July at The Midland hotel in Manchester. We said goodbye and thank you to our longstanding Council members Matthew Hare from Gigaclear and Kate Rennicks from M24Seven and welcomed new members - Sam Strover from Vostron, Paul Murphy from PCCW, Steve Leighton from Voneus and Garry Miller from BT on board for two-year terms. Steven Axon from M24Seven also joined the board after being co-opted by ISPA Council until the next set of elections. The full Council members list is here. We also approved new Code of Practice, we encourage all members to read and implement it. ISPA Annual Conference 2018 will be held on 30th October 2018 at the offices of our legal partners Bird & Bird LLP in London. This year's theme is Competition and Collaboration. The panel sessions will look closely into infrastructure competition, regulatory systems, broadband barriers, switching, future services and consumer relations. Early bird tickets are now on sale, you can save up to £55! You can book your tickets below. If your would like to be involved in shaping the agenda, sit on the panel or demonstrate your products to our audience please contact admin@ispa.org.uk. For the first time, ISPA will be co-hosting the prestigious Parliament & Internet Conference in Houses of Parliament on 20th November. Kindly hosted by Nigel Huddleston MP, this one day event will see leading figures from Government, Parliament, academia and industry discussing and debating the most pressing policy issues facing the Internet. ISPA members get priority tickets and you can register below. 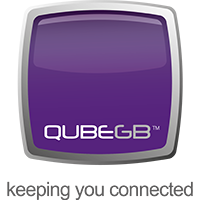 ISPA Member QubeGB have developed an engineer resource service which offers a cost effective solution for homes and businesses within the telecoms industry. As well as a huge cost saving element, their clients are seeing increased customer retention figures and vastly improved levels of customer satisfaction. Qube currently attend 40k plus visits per month booked by various ISP’s across the UK. Their skilled engineers complete various tasks including Fibre/ADSL Broadband & TV installations, B2B Managed Installs and maintenance visits. Further details can be found within their sales brochure which can be viewed here. Please feel free to contact them via sales@qubegb.com should you wish to discuss your requirements further. ISPA is partnering with Open Data Science Conference which is taking place from 19th to 22nd September in London. You can find out more here. For all partner events please click here. Information Age, Advanced Television and telecompaper published our comments on the government's Future Telecoms Infrastructure Review. ISPA Awards winners were reported by ISPReview, thinkbroadband, Cambridge Network, uSwitch, telecompaper and Fibre Systems.